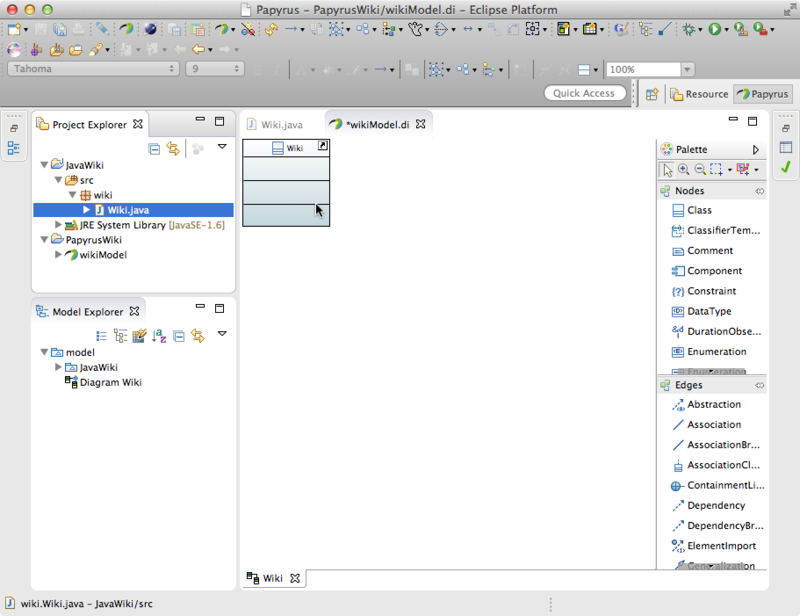 A UML class is created in Model Explorer. You can now add it into your diagram. Note that all associated classes have also been added to the model. 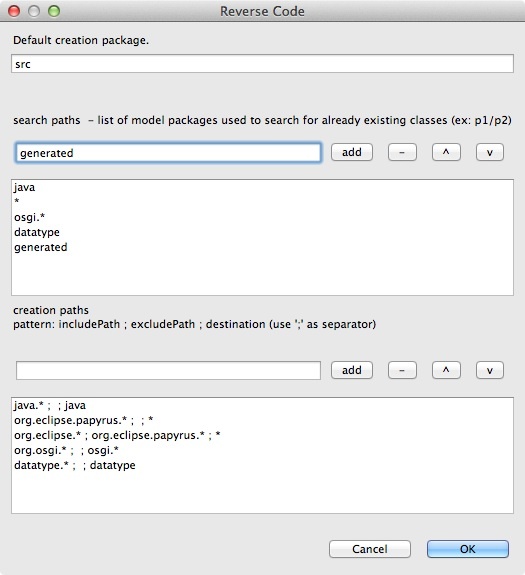 Packages and classes have been created in Model Explorer. Your can now add them to your diagram. Note that all associated classes have also been added to the model. By default, a package named "generated" is created for reverse-engineering. You can choose another package name on the options menu. add or remove search path. 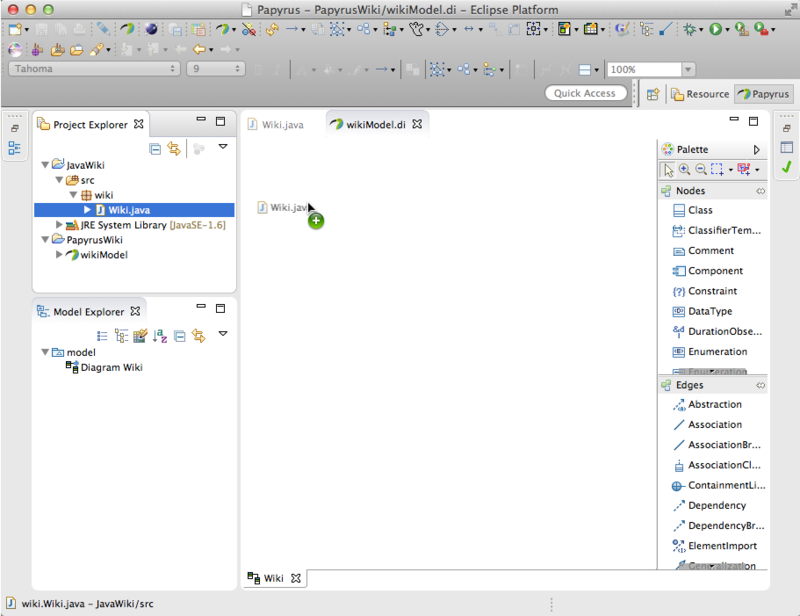 The reverse generator search existing UML classes and regenerate them. add or remove creation path. 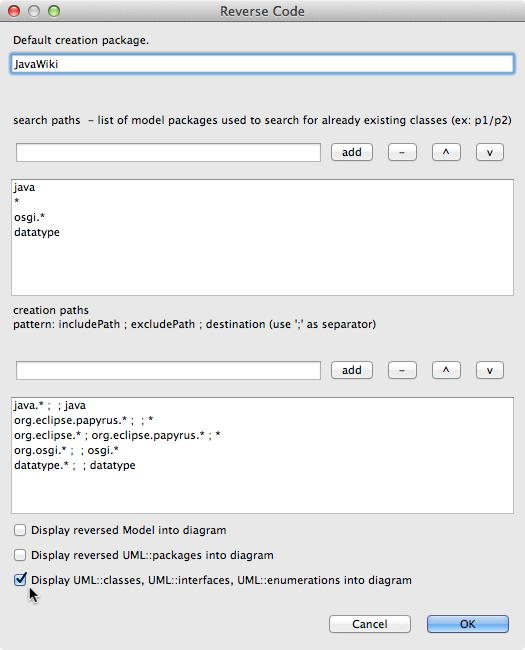 The reverse generator search on existing Java classes to generate a UML class. 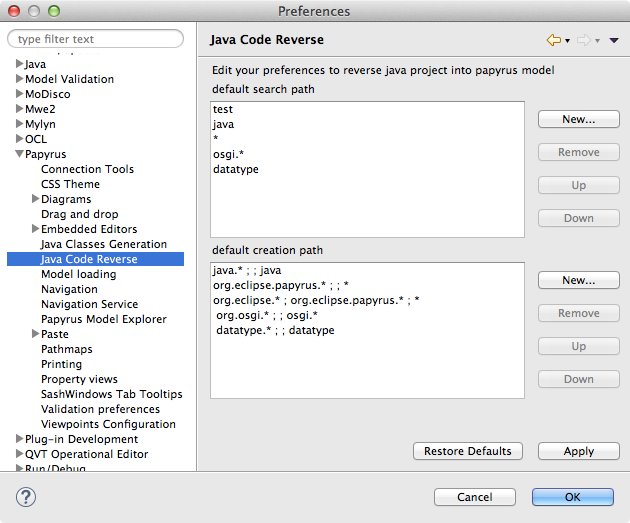 Useful for creating Java imports (e.g. : String, Integer). Drop the selection into an open diagram. When you click on the OK button, your components are displayed in the Papyrus diagram. Note: while all selected components are reversed-engineered, only components which are selected, but not in the Papyrus diagram are displayed. Note that there are default values; if you have changed these values for a project, your changes are saved, and default values are not used. Project explorer walker visits the project explorer resources recursively, until we reach a compilation unit called a "node" in this context. Then we use a node visitor to visit its JDT elements. 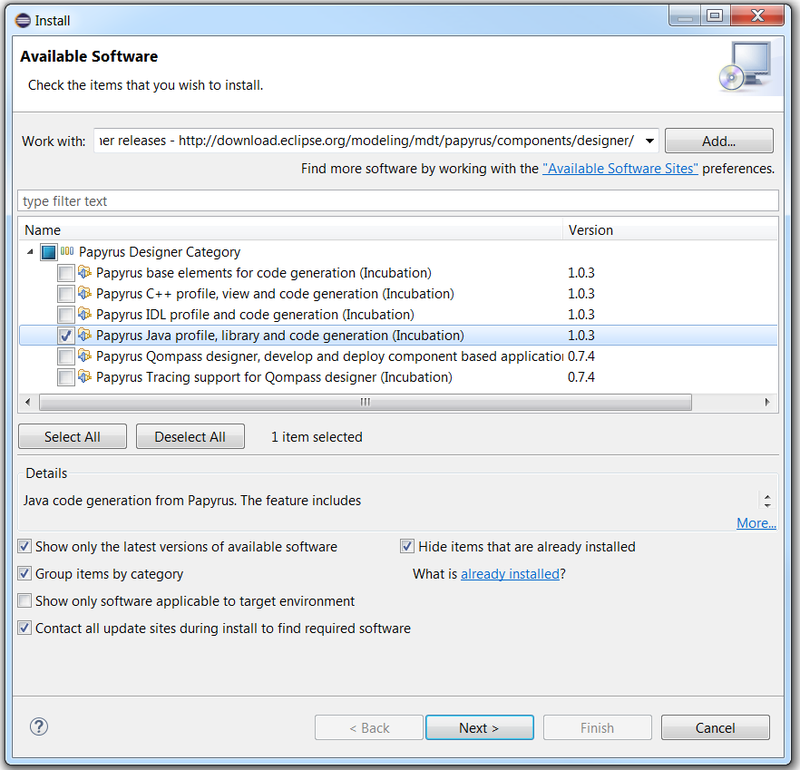 To reverse Java code, it is parsed by Java Parser and an AST is built. This page was last modified 03:59, 30 November 2017 by Shuai Li. Based on work by Abel Hegedus, Andy Halper and Ansgar Radermacher and others.